People who live in the Hamptons year-round or visit the Hamptons choose Shene Nursing Service because we are the only state-licensed home care agency based in the Hamptons. 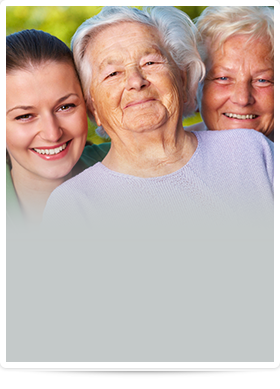 No other licensed nursing care provider does what we do; we are much more than a nursing service. We provide nursing, post-maternity care, companion services, and so much more. Our in-home services help the senior citizen who needs companionship and help running errands around town; the end of life patient who wants to spend their last days at home; the mother with a newborn (or multiples) who needs help caring for herself and baby; the individual who just had surgery and needs short-term care during recovery. Are you caring for your loved one and feel as if you can’t do it alone, or you just need a break? Does your loved one have a life-ending disease? Would you like them to be able to live comfortably at home? Does your loved one have Alzheimer’s or dementia? Does your loved one need wound care, catheter care, or chemotherapy? Could your family member use some help with errands, housework, or preparing meals? Do you need someone to provide transportation for your loved one or accompany them to the doctor’s office? Is your loved one disabled but wants to live independently? Are you pregnant or recently had a baby and need an extra set of hands? Are you facing a major surgery? Would a part-time or full-time nurse make your life easier? Do you want to improve the quality of life for your loved one? If you said yes to any of these questions, then you should contact Shene Nursing Services for help. We’ll take the time to understand your situation and recommend the appropriate in-home services that will alleviate your concerns. Call us today: 631.324.9555. Cindy is wonderful! What a nice person for my mom. Thanks for sending her!